The quadcopter equiped with HD wifi camera, you can control the drone easily with your phone via wifi connection, watch and save live videos directly on your smartphone. 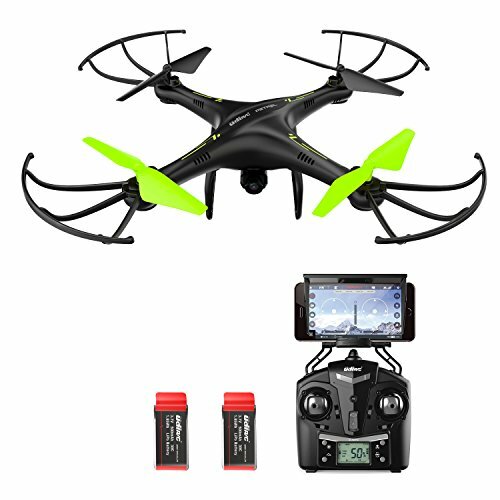 What You Get: Potensic 1-Year Limited Warranty, Potensic U42WH UDI RC Quadcopter, 2.4 GHz Transmitter, HD WiFi Camera, 2 x 3.7V 500mAh Batteries, 1 USB Battery Charging cord, 4 Extra Blades, 1 screw driver, 1 shade panel, User Manual. If you have any questions about this product by Potensic, contact us by completing and submitting the form below. If you are looking for a specif part number, please include it with your message.